“The whole concept was just to make you feel comfortable, so it’s a way to ground you,” said Gusto employee, Charles Sim. Ever heard of an office where shoes are optional? San Francisco startup, Gusto, is changing the way their employees spend their workdays by creating a shoeless work environment. Ever heard of an office where shoes are optional? San Francisco startup, Gusto, is changing the way their employees spend their workdays by creating a shoe-less work environment. The shoe-less work environment concept started in the early days of the company and eventually developed into a tradition that was carried over to their new Pier 70 office. As weird as a no-shoes office sounds, Reeves explained that they’re not overly regimented and are pretty flexible with their employees. 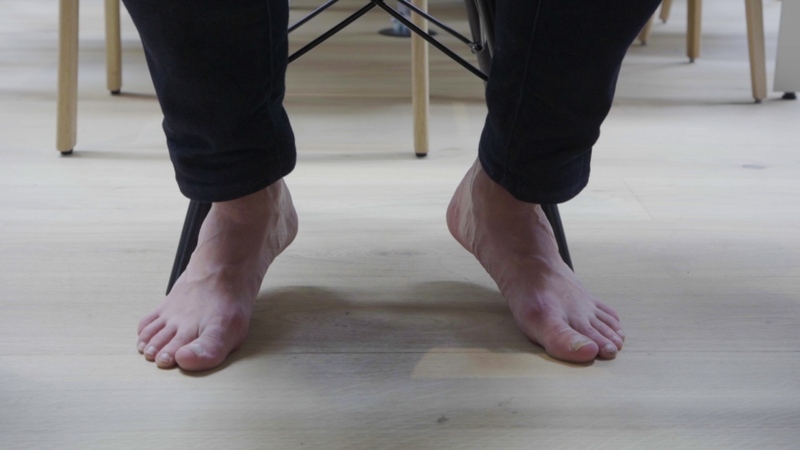 If someone is uncomfortable going barefoot in the office they have full autonomy to wear socks or slippers. The company also carries socks and disposable slippers for guests who visit. Unlike most offices, Gusto’s was inspired to feel like a living room in an effort to make it feel like a home. The entrance of their Pier 70 office is lined up with shoe cubbies and as you walk toward the center of the building you’ll find an array of couches and rugs with a few workstations. Launched in 2012, Gusto is a middleman management company that helps employers automate and simplify payroll, benefits and HR. The company now serves over 60,000 businesses nationwide.